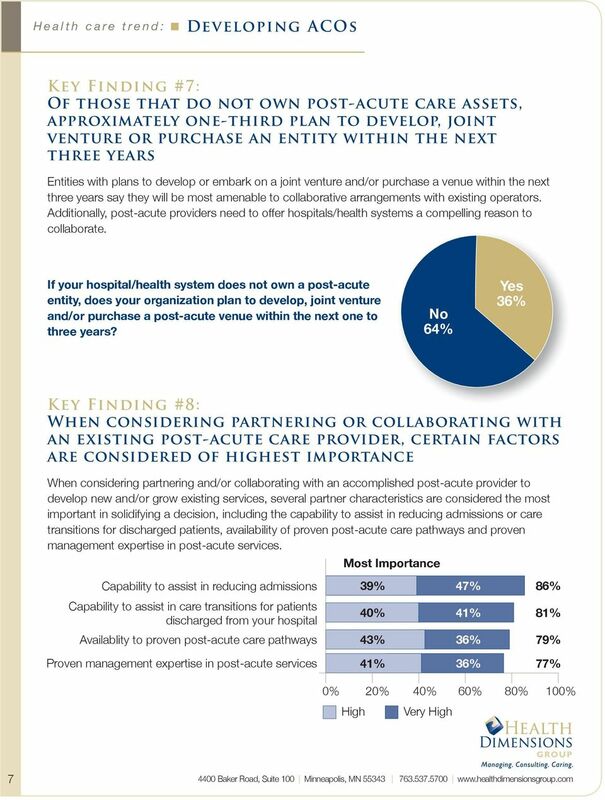 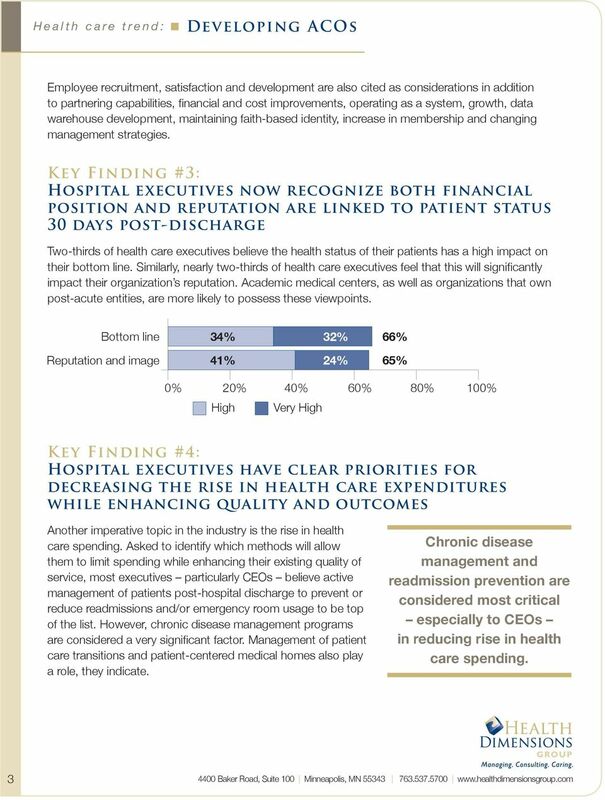 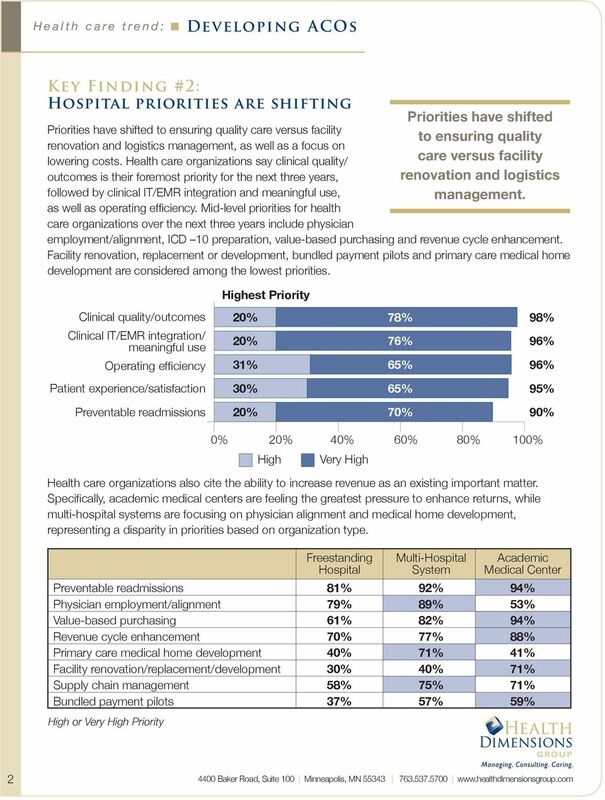 Download "Health care trend: Developing ACOs"
BUNDLING ARE INPATIENT REHABILITATION FACILITIES PREPARED FOR THIS PAYMENT REFORM? 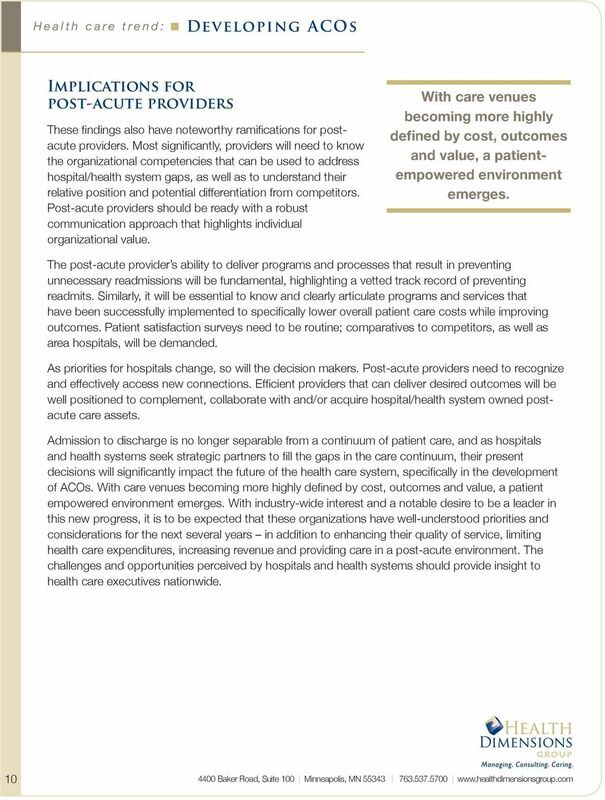 Concurrent Session 2.3. 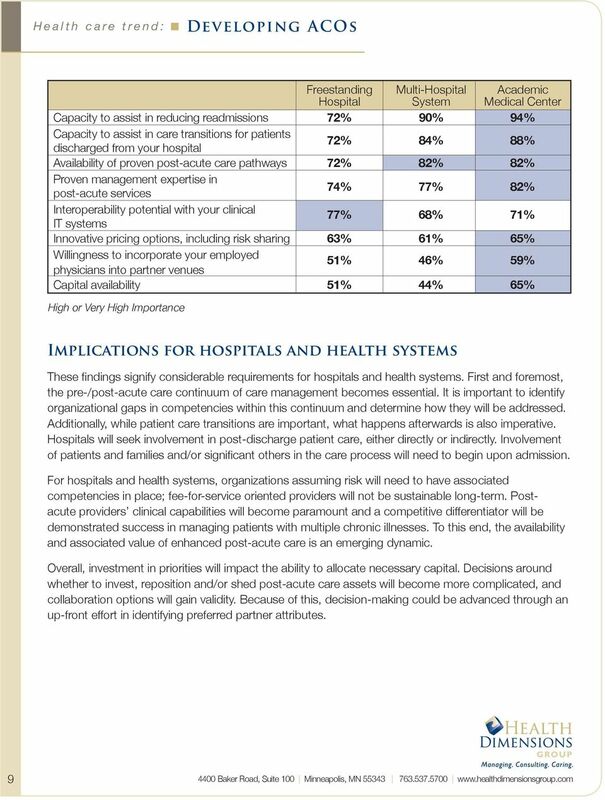 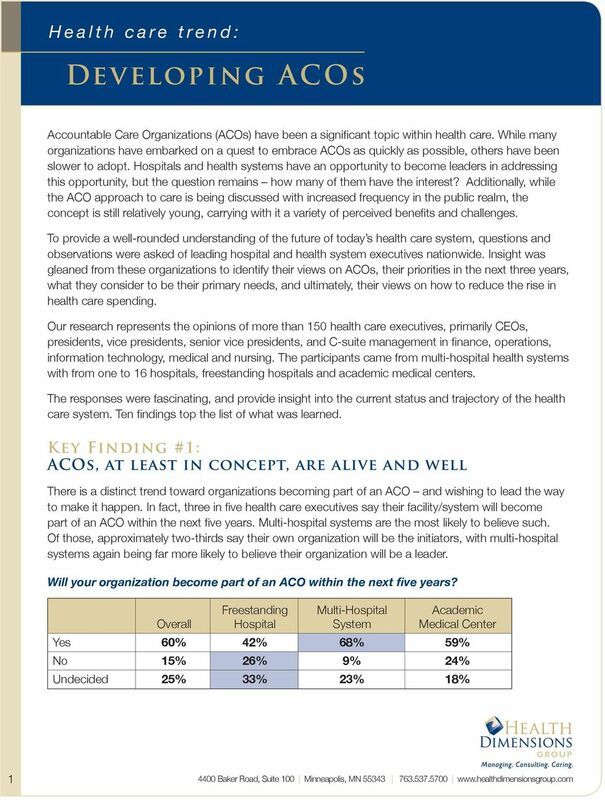 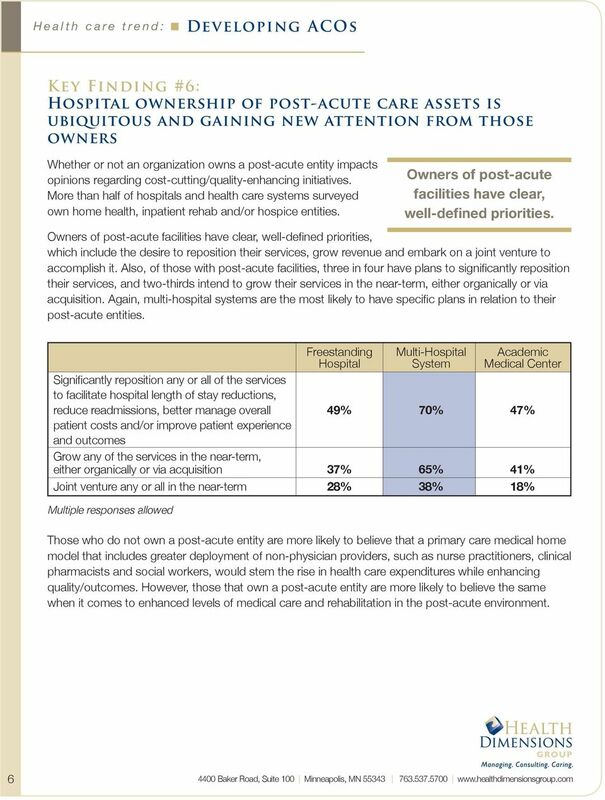 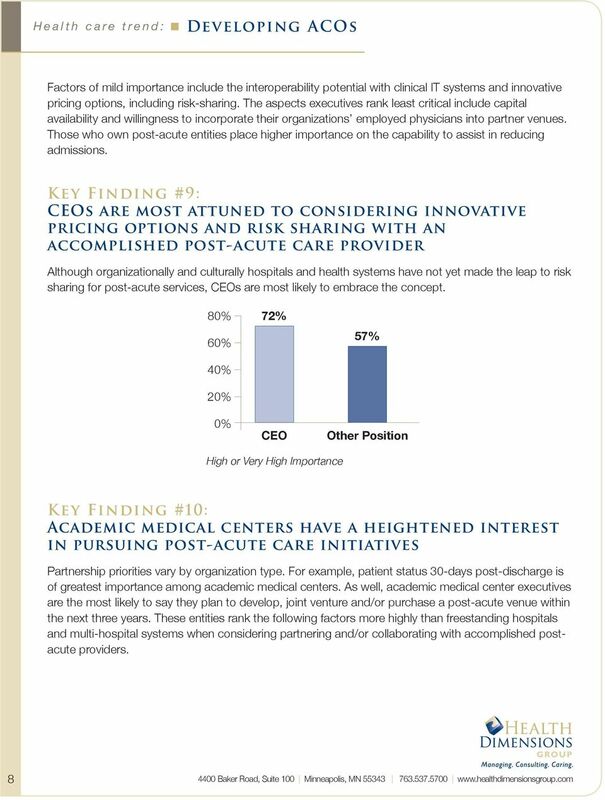 Building an ACO Framework: Opportunities and Challenges for Providers and Hospitals. 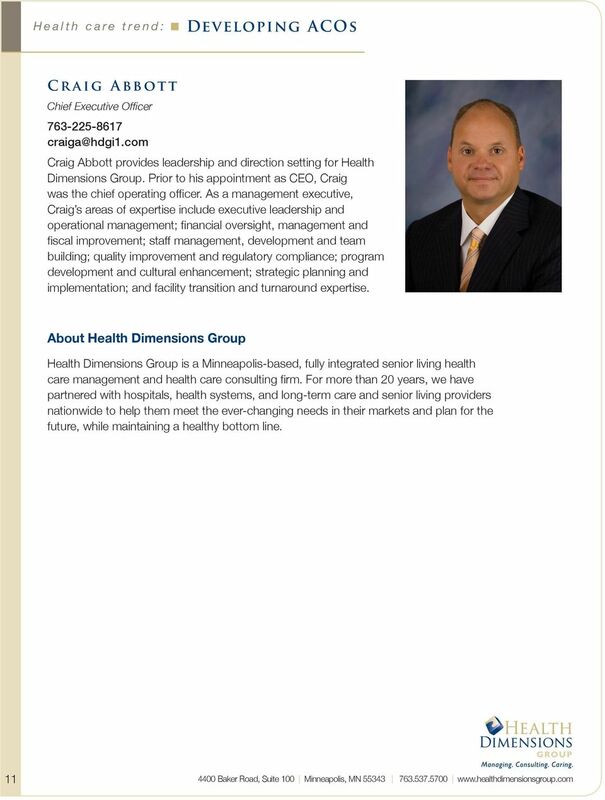 Dr. Edward G.
Business Intelligence in Healthcare: Trying to Get it Right the First Time! 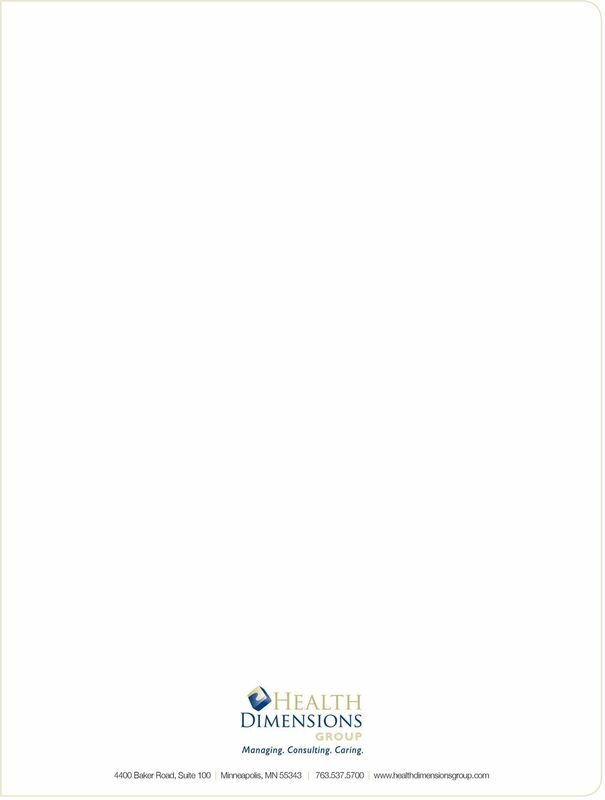 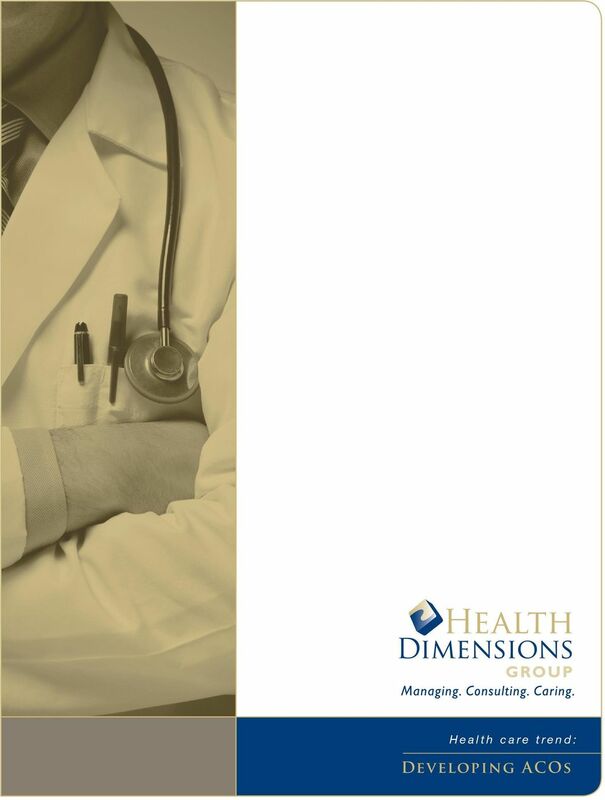 Phoenix Health Systems Effectively Managing EHR Projects: Guidelines for Successful Implementation Introduction Effectively managing any EHR (Electronic Health Record) implementation can be challenging. 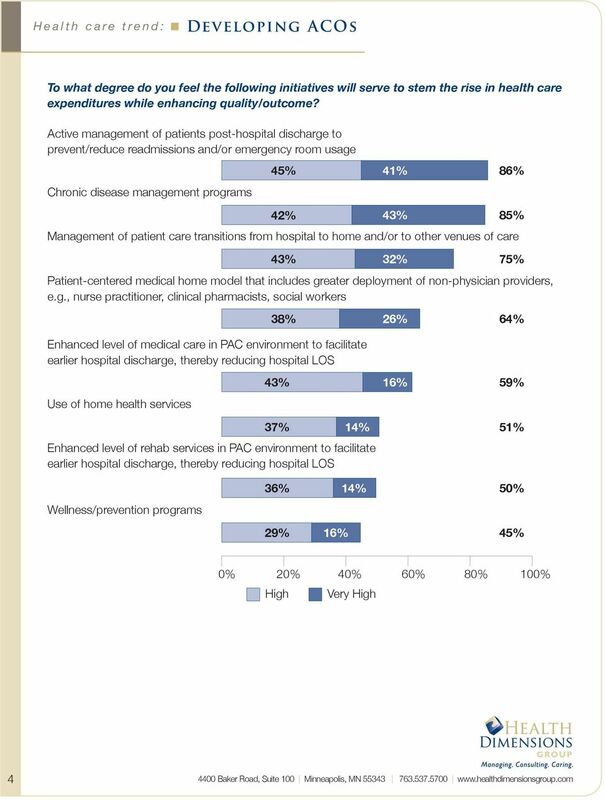 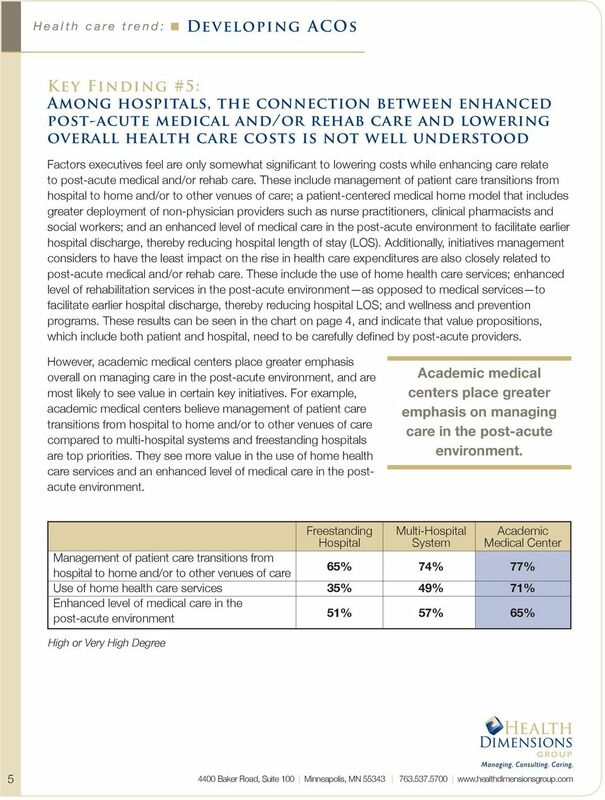 Patient Centered Medical Home and ACO: Emerging US care models and what might Canada have in common?